A new twist on the art-inspired shirt. 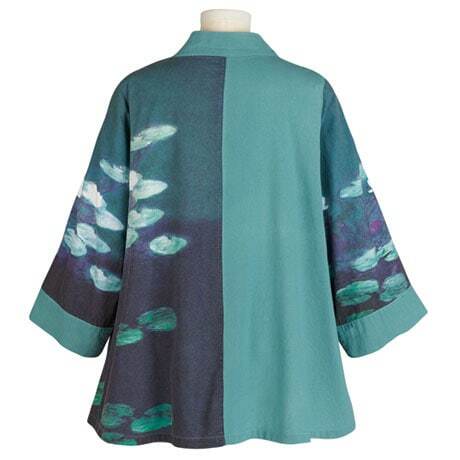 The right side (front and back) and left sleeve are a hand-silkscreened print based on Monet's "Water Lilies." The left side, cuffs, and oversized banded collar are solid aqua. 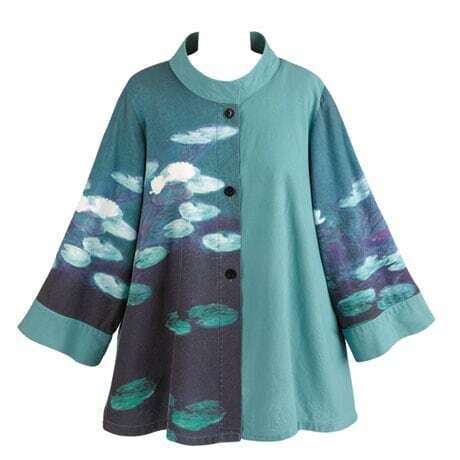 Jacket has three buttons down the front, ¾-length sleeves, sideseam pockets and flared hem. 100% cotton twill.. Hangs 29". M/XL(12-16), 1X/3X(18-22). Hand wash. Imported.